When I first visited the Secret Garden Inn & Cottages a few years ago, I arrived to the delicious smell of a cardamom-spiced bread that the owner, Dominique Hannaux, had just pulled out of the oven. Standing in her kitchen, Dominique wore glasses and an apron over a t-shirt and a long, flowing skirt. Wiry tendrils of gray hair had escaped her ponytail and were floating around her face. She spoke with a French accent and looked every bit the part of a slightly eccentric, French painter. Dominique broke off a morsel of the bread for me to sample and explained that she hadn’t followed a recipe, that she had just been experimenting. The sample was divine. 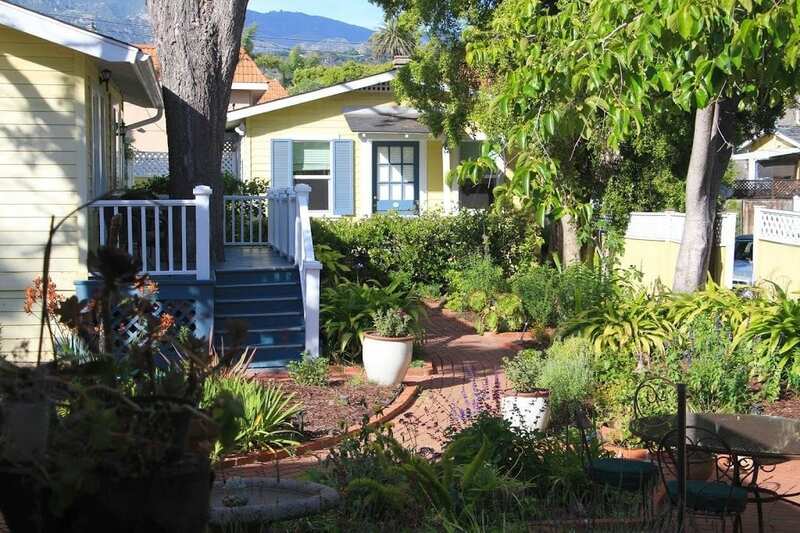 She cooked on sailboats for a while and then eventually made her way to Santa Barbara, where she bought the Secret Garden Inn and Cottages in 1999. 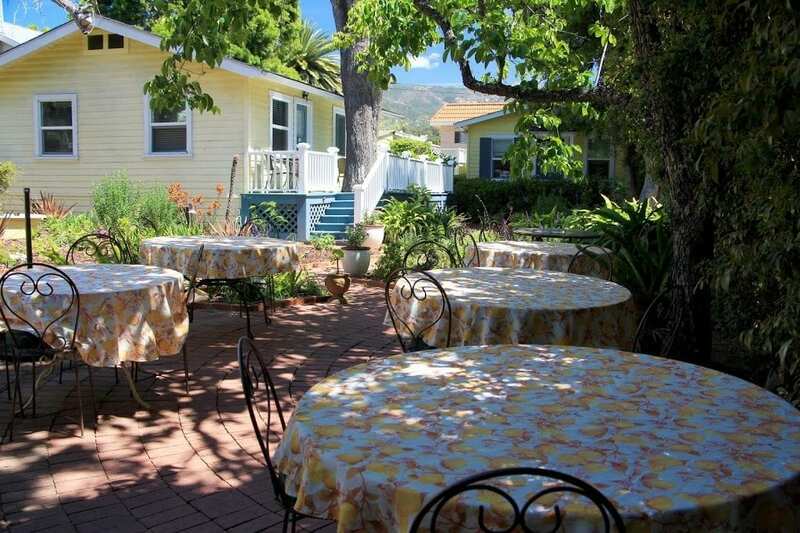 Secluded behind high hedges and nestled amid lovely gardens and pathways, the inn is located in a residential neighborhood, not far from Old Mission Santa Barbara and State Street. 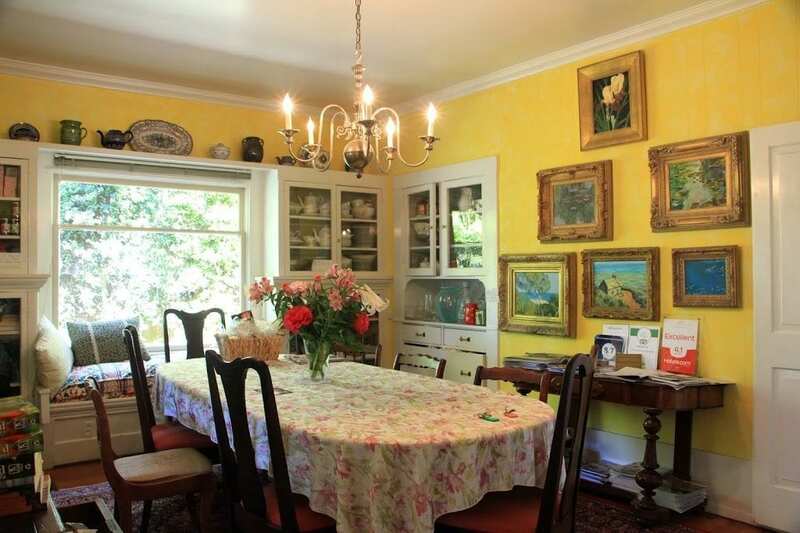 The main house, a simple 1905 farmhouse, consists of a living room, a country dining room, kitchen, and two guest rooms. 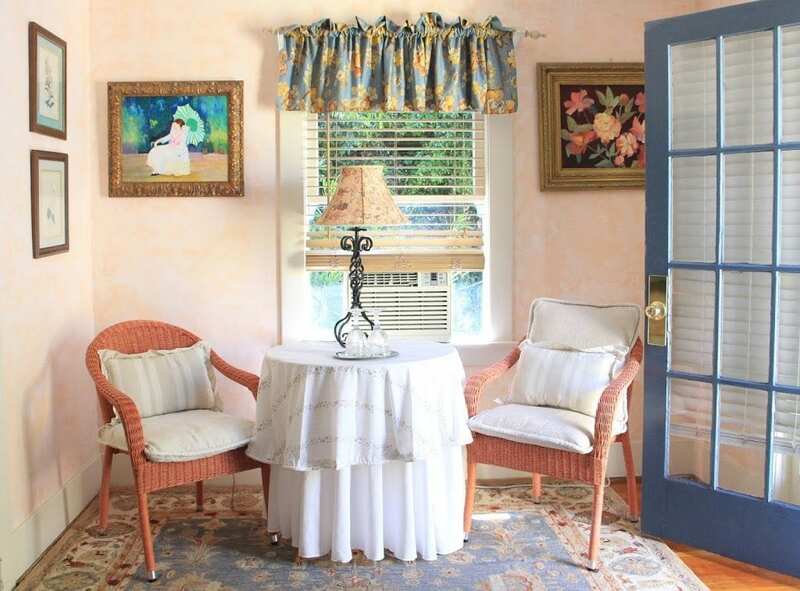 Six additional guest rooms are scattered among the garden cottages, each with their own private entrance. Named for various birds, the rooms have a homey feel with cheerful colors, floral patterns, and an eclectic assortment of furnishings. All of the rooms offer private baths, televisions with DVD players, and wireless internet. 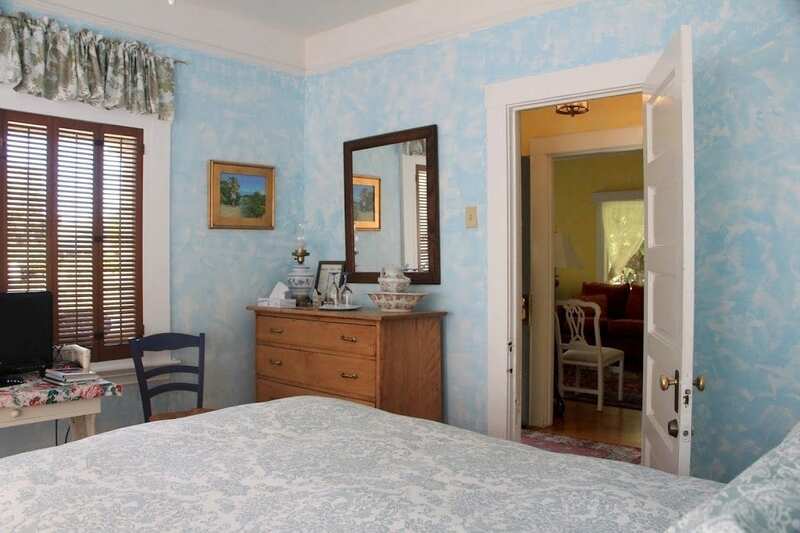 Many of the rooms have clawfoot tubs; five of the cottage rooms also have private decks with small Jacuzzi tubs. Beneath the sprawling branches of a persimmon tree, a garden patio with café tables and chairs is an ideal spot to enjoy breakfast or a glass of wine. One of Dominique’s most popular recipes, her persimmon and orange nut bread, is made with fresh persimmons she picks from the tree when they begin to ripen in the fall. The inn serves wine and hors d’oeuvres on Fridays and Saturdays from 5 to 6 p.m. Sweets and hot water for tea are set out each evening at 7 p.m. Each morning, Dominique prepares and serves a gourmet breakfast featuring her quiches, crepes, fresh-baked scones, muffins, sweet breads, fresh fruit, coffee, tea and juices. Guests have their choice of enjoying breakfast in their room or private patio, in the dining room, or on the garden patio. 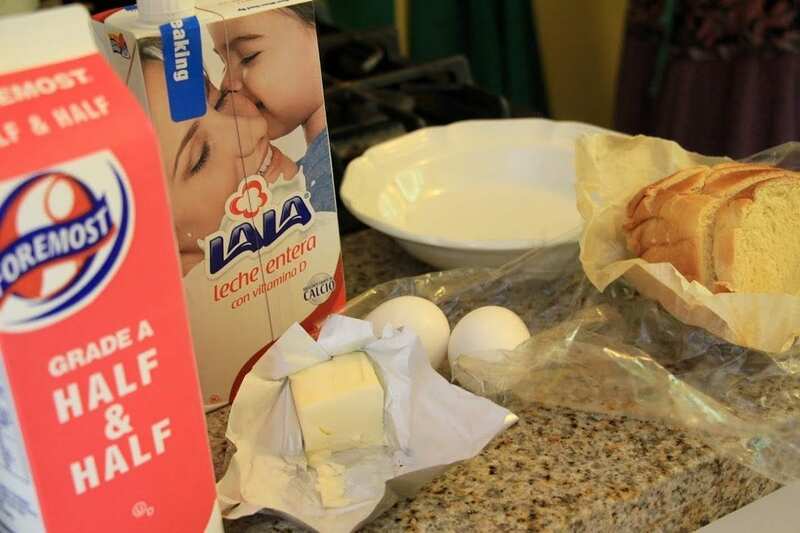 When I last visited, Dominique treated me to French toast and shared with me her easy recipe for making it. “The best things are the easiest things,” she said. In a bowl, she whisked two eggs with half and half and a generous dash of cinnamon and then dunked day-old slices of Brioche into the mixture. With melted butter sizzling in a pan, she transferred the slices to the hot pan. Once brown, she flipped the slices to brown the other side. 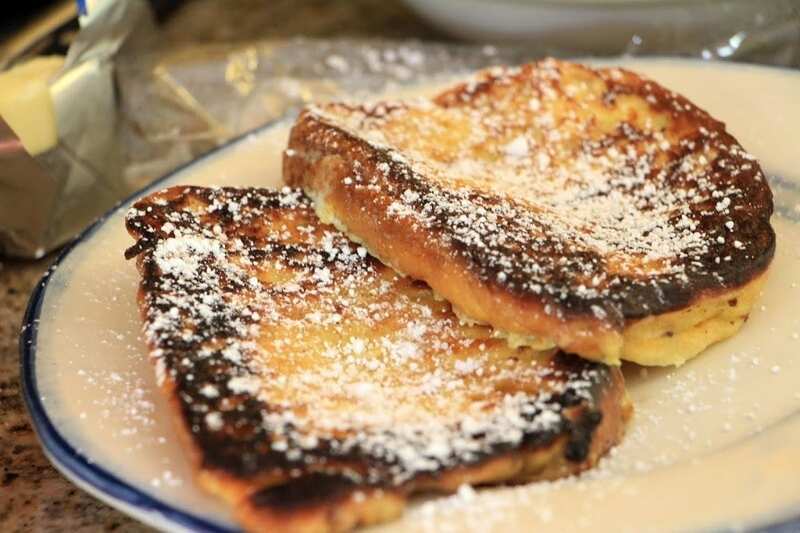 To finish, she transferred the French toast to a plate and sprinkled it with powdered sugar.